It might look the same from the outside, but Nissan has nicely updated the 2019 Qashqai despite only arriving on our market two years ago. 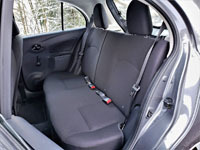 As noted most changes go unseen, such as the adoption of Intelligent Emergency Braking (IEB), Blind Spot Warning (BSW), Rear Cross Traffic Alert (RCTA), and Nissan’s smart Rear Door Alert (RDA) system (that reminds if you’ve left something or someone in the back seat), across the entire Qashqai line, while the little utility’s interior now benefits from a new NissanConnect centre touchscreen that’s now 2.0 inches larger at 7.0 inches and features standard Apple CarPlay and Android Auto smartphone integration, satellite radio, live navigation, plus mobile apps and services, while the base Qashqai also includes a second USB port within the centre console, and Nissan’s useful Divide-N-Hide cargo system in the storage area. 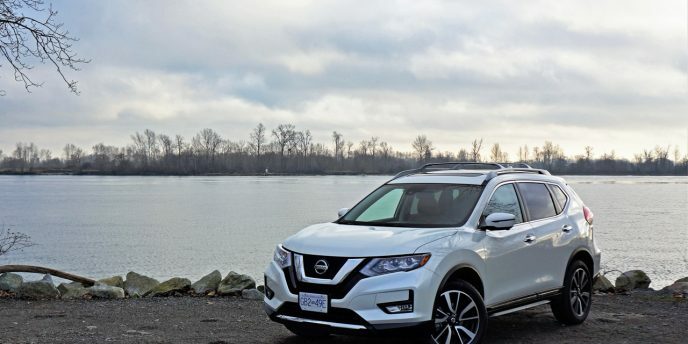 Even more impressive, all of these new features have been added without impacting the base Qashqai S model’s base price that still starts at just $19,998 plus freight and fees, making it the second-most affordable sport utility available in Canada behind Nissan’s own Kicks. 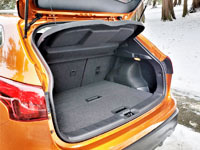 Standard features that continue forward into 2019 and by doing so make the latest Qashqai seem like an even better deal include projector headlamps with integrated led daytime running lights, heated power-adjustable side mirrors with integrated LED turn signals, power windows, power door locks with a switchblade-style remote key fob, an electromechanical parking brake (which oddly reverts to a foot-operated one on S CVT and SV CVT trims), a tilt and telescopic steering wheel, a colour TFT multi-information display, variable intermittent wipers, sun visors with extensions and integrated vanity mirrors, overhead sunglasses storage, micro-filtered air conditioning, a rearview camera that’s now easier to use thanks to the larger centre display, Bluetooth phone connectivity with audio streaming, text message read and response capability, Siri Eyes Free, four-speaker AM/FM/CD/MP3/WMA audio with illuminated steering wheel controls, speed-sensitive volume, Radio Data System (RDS), fabric upholstery, two-way Quick Comfort heatable front seats, a rear-seat centre armrest, 60/40 split-folding rear seatbacks, a cargo cover, six cargo area tie-down hooks, tire pressure monitoring with Easy Fill Tire Alert, all the expected passive and active safety and security features, plus much more. The Qashqai is once again available in three trims, the aforementioned base S model joined by the SV and SL, my tester being in the latter. Before delving into its new upgrades, standard features list and various options, the $25,998 SV is a good choice for those not needing the premium-level pampering offered by the SL, thanks to 17-inch alloys replacing the base model’s 16-inch steel wheels with covers, automatic on/off headlights, plus fog lamps, roof rails, remote engine start, proximity-sensing keyless access, pushbutton ignition, high beam assist, rear parking sensors, illumination added to the vanity mirrors, a powered moonroof, a heatable leather-wrapped steering wheel rim, a leather-wrapped shift knob, cruise control, two more stereo speakers, dual-zone automatic climate control, rear passenger air vents, etcetera, while a host of new advanced driver assistance systems get added including enhanced autonomous emergency braking with pedestrian detection, Lane Departure Warning (LDW) with Intelligent Lane Intervention, and Rear Intelligent Braking (R-IEB). My tester’s top-line SL trim starts at $31,198 yet really helps to make it feel like a mini luxury ute thanks to standard 19-inch alloy wheels, the electromechanical parking brake again (the only trim that mates it to the CVT), a 360-degree Intelligent Around View Monitor, navigation with detailed mapping, voice recognition, SiriusXM Traffic and Travel Link, leather upholstery, an eight-way power driver’s seat including two-way powered lumbar, and a front driver’s seatback pocket, while Intelligent Cruise Control (ICC), enhanced rear auto braking with Moving Object Detection (MOD), and ProPilot Assist semi-automated self-driving capability are new to the SL’s standard list. Lastly, my tester featured the $2,100 SL Platinum Package that includes LED headlights, an auto-dimming interior mirror with an integrated Homelink garage door opener, plus a nine-speaker Bose audio system, and NissanConnect Services. 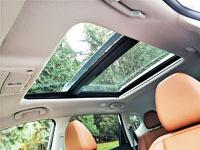 By the way, all pricing for the 2019 Qashqai, including trims, packages and individual options, was sourced at CarCostCanada, where you can also find money saving rebate info and dealer invoice pricing that could save you thousands. 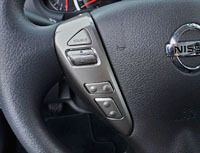 SV and SL models also come standard with Nissan’s Xtronic CVT (continuously variable transmission), not to mention Intelligent Engine Braking, and while this will likely be preferable to the majority of Qashqai buyers you may enjoy the six-speed manual that comes standard in base S trim. 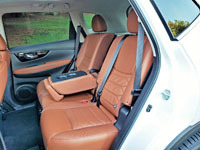 I tested it last year and came away smiling, as it’s a well sorted manual gearbox that adds a lot of sport back into this utility’s character, which is more about smooth, quiet, comfort in its higher trims. I won’t go into too much experiential detail in this garage report, being that we just brought it home from Nissan’s detail team today and haven’t spent anywhere near enough time in it to comment, but this is hardly the first Qashqai at our weeklong disposal so already have a good idea of what we’re about to live through. 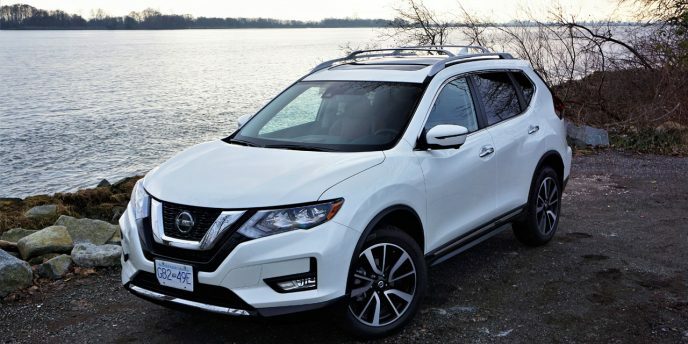 Suffice to say the 2019 Qashqai SL hasn’t disappointed us thus far, but rather reminded us why Nissan is quickly taking the lead in this all-important entry-level crossover SUV segment. 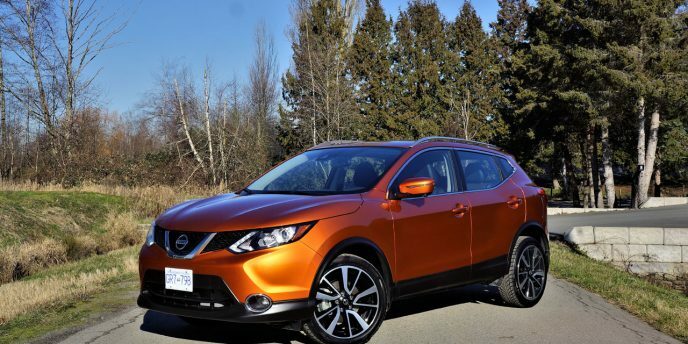 The Qashqai is Nissan Canada’s second-best-selling vehicle behind the larger compact Rogue, and quite frankly its growth in popularity throughout 2018 has been staggering. 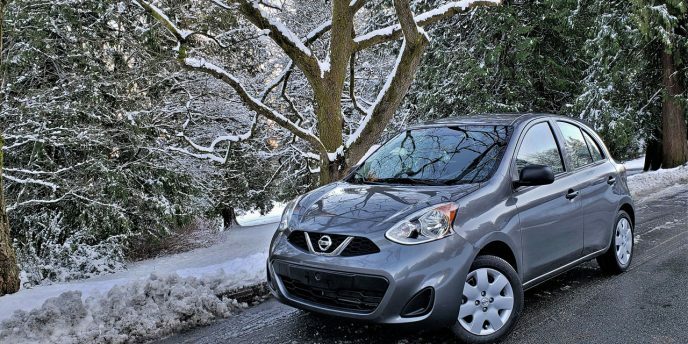 Sales were up by 119.2 percent to 19,662 units last year compared to just 8,970 in calendar year 2017, making it tops in its segment and after passing the Subaru Crosstrek that’s been on a 30.2-percent sales surge of its own, albeit with only 14,539 units down the road, while the new Hyundai Kona is close behind at 14,497 deliveries. Interestingly, Mazda’s CX-3 grew sales by 13.8 percent to 12,445 units, while the redesigned Jeep Compass found 46.4 percent more buyers in 2018 for a total of 9,434. 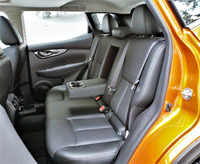 Trending the other way is the once best-selling Honda HR-V that saw its sales fall by 35.9 percent to 9,071 units (although some of this results from a flood in its Mexican plant that shut down operations for quite a while), whereas the recently introduced Toyota C-HR made significant gains of 57.8 percent yet only managed a rather lacklustre 6,819 deliveries, and the entirely new (to us) Ford EcoSport enjoyed its first full year of sales, but found just 6,315 takers. 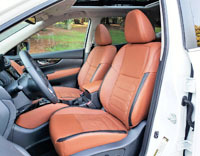 Moving in the opposite direction, a subcompact crossover SUV segment loser was the somewhat stale Mitsubishi RVR that experienced a sales decline of 17.5 percent to 5,750 units, while the Chevy Trax lost 25.1 percent to post 4,465 deliveries, which is just ahead of the aforementioned Nissan Kicks’ 4,362 sales despite that model’s mid-year arrival. The final two to make gains were the new Kia Niro, in hybrid and plug-in forms, with 2,659 deliveries for growth of 67.2 percent, and the Mini Countryman that’s also available in plug-in guise, and possibly due to this saw its sales rise by 36.9 percent to 2,479 units. Lastly, the biggest losers are Jeep’s Renegade with a downgrade of 60.4 percent to 1,193 units, and that same model in Fiat 500X form that saw its sales jump off the proverbial cliff by 90.8 percent to a completely pathetic 79 units, despite being a nice little SUV that I quite liked last time I tested it. 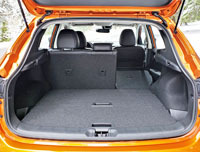 The Qashqai makes more sense though. 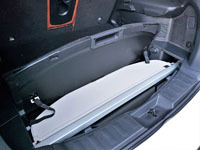 It costs less, and provides a lot more comfort and size. 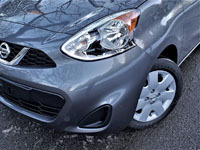 It’s actually quite large for its subcompact SUV class, reason enough for Nissan to slot the Kicks in down below, yet compared to the Rogue it’s a small fry, despite riding on a version of the same chassis architecture, complete with a fully independent front strut, rear multi-link suspension setup with stabilizer bars front and back. 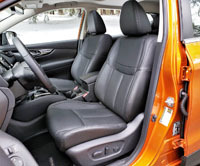 Under the hood is an efficient 2.0-litre four-cylinder engine good for 141 horsepower and 147 lb-ft of torque, while its previously noted CVT drives the front wheels or all four. To reiterate and clarify, base S trim makes the CVT optional, while SV and SL trims include it as standard equipment, whereas AWD is optional with both lower trims and standard with the SL. 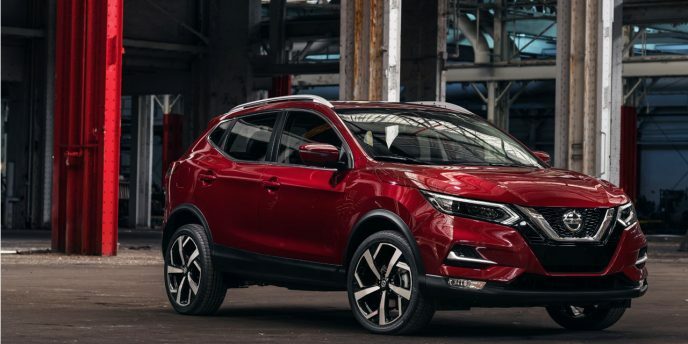 As you may have expected the 2019 Qashqai remains a fuel economy leader with a claimed 10.0 L/100km city, 8.1 highway and 9.2 combined with the FWD manual, 8.8 city, 7.3 highway and 8.1 combined with FWD and the CVT, or 9.0, 7.5 and 8.4 with the CVT and AWD.